Fresh from last weekend's eight-goal rout of Hamburg, Bayern Munich will seek to keep the rest of the Bundesliga at bay when they travel to Cologne on Saturday (kick-off 15:30CET/14:30GMT). Robert Lewandowski took his tally for the season to 19 with his fifth Bundesliga hat-trick during his side’s Matchday 22 masterclass at the Allianz Arena. 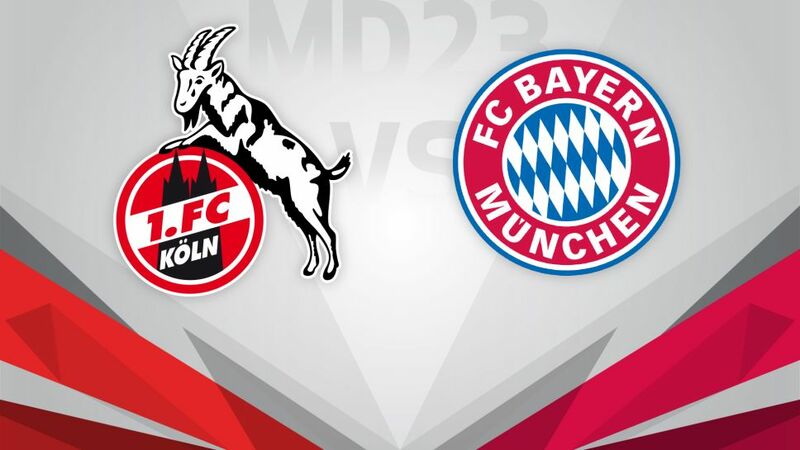 It put memories of a last-gasp draw with Hertha Berlin a week earlier firmly behind Carlo Ancelotti’s side, who were held 1-1 by the Billy Goats earlier this season but have lost just the once all campaign. A 3-1 defeat at RB Leipzig on Matchday 22 means that Peter Stöger’s Cologne side have taken just one point from the last nine to sit in seventh, one place outside the European qualification spots. However, Cologne are unbeaten at home this season, and striker Anthony Modeste is just two goals behind Lewandowski in the battle for this term’s Torjägerkanone, the award for the Bundesliga's top scorer.